Local florist Teri Summers has her hands full of mistletoe in preparation for the holiday, yet finding someone to kiss is her last priority. But when the gorgeous new doctor makes a connection with her special needs son, Aiden, Teri finds herself wondering if she's finally found happiness in this season of joy. For Teri and Tom, Last Chance may be their best chance at love . . . I liked the overall story. This is a short story so I was able to read it in a single sitting. Sometimes short stories leave me rather unfulfilled and wanting more...like the story isn't quite finished. This story was really a very well contained story that wrapped things up very nicely. I was surprised by the strong emphasis on faith that was present in the story. I actually stopped reading at one point to check if this book was actually categorized as religious fiction. The faith in the story didn't bother me but its not a genre that I would normally choose. The main focus of this story is Teri, her son, Aiden, and Tom, the new doctor. Teri is a single mother and the owner of the local florist. She spends a great deal of energy caring for her son, Aiden, who has special needs. Aiden has Asperger's syndrome which cause him to look at things a little differently. He hates the color red and isn't a big fan of Christmas overall. Teri meets the new doctor in town, Tom, when Aiden is taken in for a huge splinter lodged in his thigh. Tom seems to just know how to work with Aiden and they get through the ordeal with minimal difficulty. I liked the characters and thought that they were well represented. Teri is a fiercely protective mother but who could blame her. She seems to be the only one willing to give Aiden the support that he needs. Tom has his own story which helps him relate to Teri and Aiden. There were more than a few moments where Tom seemed just to perfect to be realistic. I thought that Aiden's character was well done. The parts of the story that were from his point of view really helped me understand the dynamics of the situation. There really was a lot going on in this short story but nothing felt incomplete. I liked the romance between Teri and Tom and thought that they really deserved to be happy together. This short story is part of a series but can be read very easily as a stand along. I have a feeling that some of the characters that made appearances will be familiar to readers that have read the series. There was a lot more religion in this story than I had expected. The town even has a religious miniature golf course, Golfing for God. I would have preferred the religious parts of the book to be toned down. I really wanted to focus on the couple and Aiden. Overall, I would recommend this sweet romance to others. I received an advance reader edition of this book from Forever - Grand Central Publishing via NetGalley for the purpose of providing an honest review. This is one of my favorite Christmas Carols, so when I saw the title, I didn't even read the blurb, just requested it. 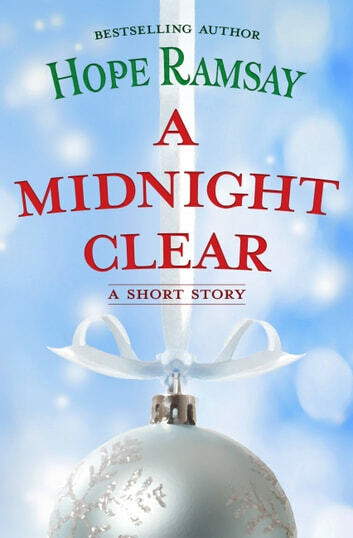 This may be part of a series, but I found that it did work fine as a stand alone novella for the Christmas season. Normally, I'm not one for Insta-Love, but sometimes when it's done in just the right circumstances, I can suspend believe and it can work. This worked for me. Mostly because this is a clean romance, and dealt with Teri and Tom actually connecting and not jumping straight to smexy times. Plus, Teri's son Aiden totally stole the scenes he was in and had me completely emotionally invested. I spent quite a bit of time reading this book, sniffling into a tissue and normally I steer clear of any reads that I know will cause me to cry. But Christmas reads get a special pass; and add in a sweet boy with Autism, and I was a goner. Mostly they were happy tears. Mostly. If you are looking for a story that will remind you the true meaning of the season and take you away from all the commercialism that sometimes detracts, give this one a look see. Just remember to have some tissues handy, and a quiet place where you won't be interrupted. Because once you get started, you will want to read this in one sitting. I gave this story 4 stars for the emotional punch it brings. Thanks to Netgalley and Forever Yours for the opportunity to read and review the book.